Keto Low-Carb Starbucks Copycat Peppermint Mocha Latte is a quick and easy coffee recipe that uses cacao creamer made with grass-fed ghee butter and MCT Oil to ensure a nice dose of healthy fats. 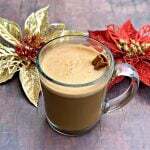 Looking for a skinny, sugar-free mocha for Christmas and the holiday season? This recipe is perfect for keto diets and lifestyles! This post is sponsored by Omega PowerCreamer. All opinions are my own. It’s mid-November and I am already filled with the holiday spirit! This is hands down my favorite time of year. I love the season of giving! 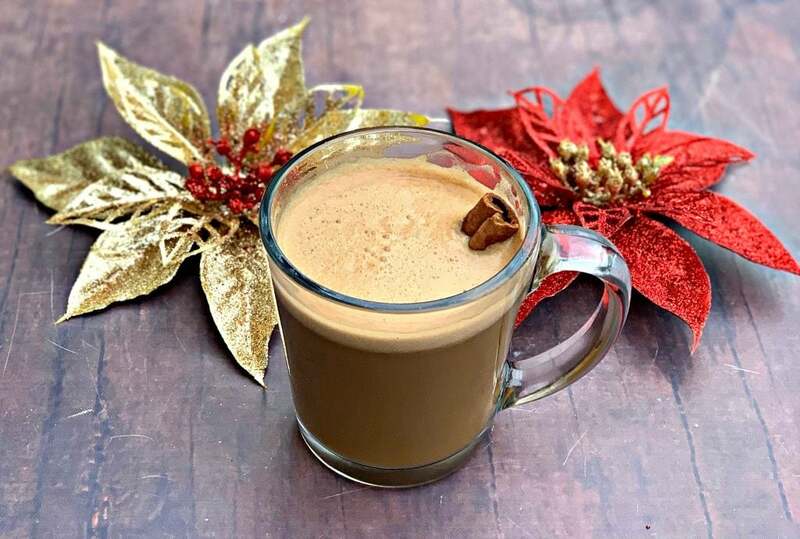 To continue on with that spirit I am going to share my keto peppermint mocha recipe with you guys! The keto lifestyle can be tough. Especially around the holidays. We all deserve to still enjoy our favorite holiday beverages. But we need beverages that aren’t loaded with refined sugar and carbs! 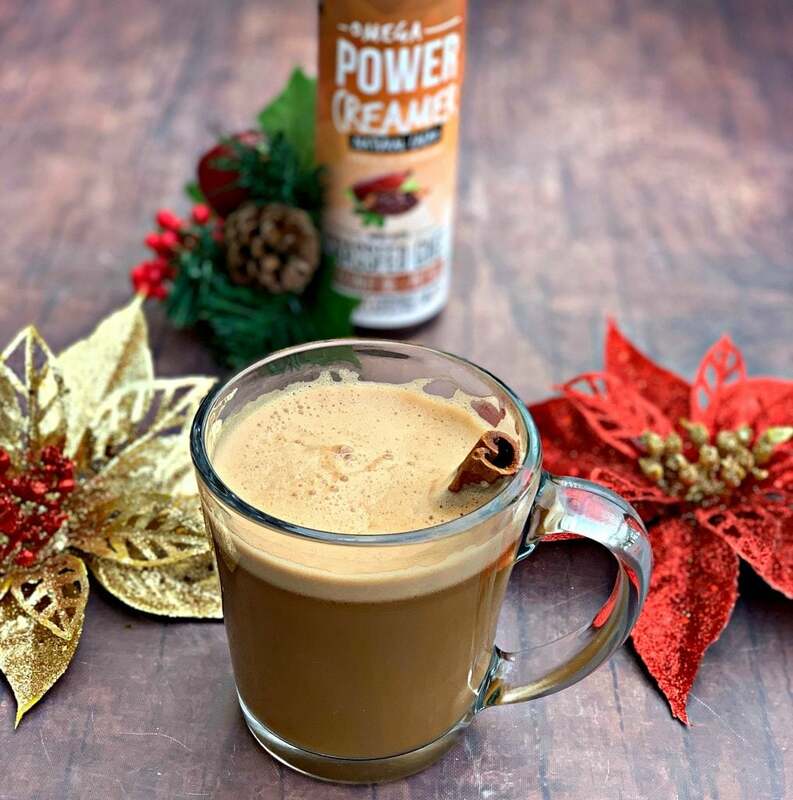 I have been using Omega PowerCreamer in my daily coffee. It comes in the following flavors: cacao, cinnamon, original blend, and sweet vanilla. I used cacao for the mocha portion of this recipe. You can buy the keto creamer here on Amazon. 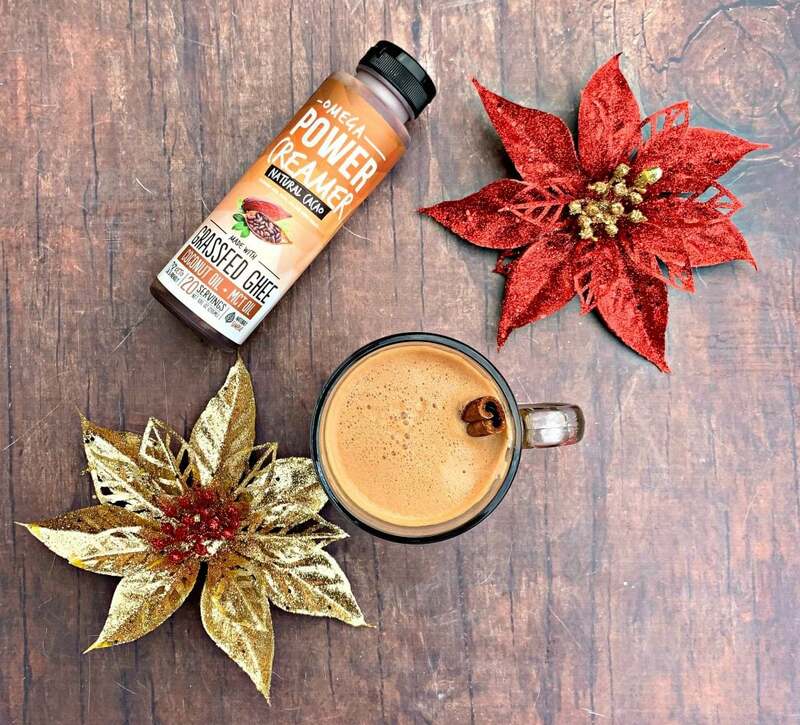 The PowerCreamer is an all natural concentrate and needs to be blended into the coffee. You can use a regular blender, a bullet blender, an immersion blender or even a good milk frother to get the job done! 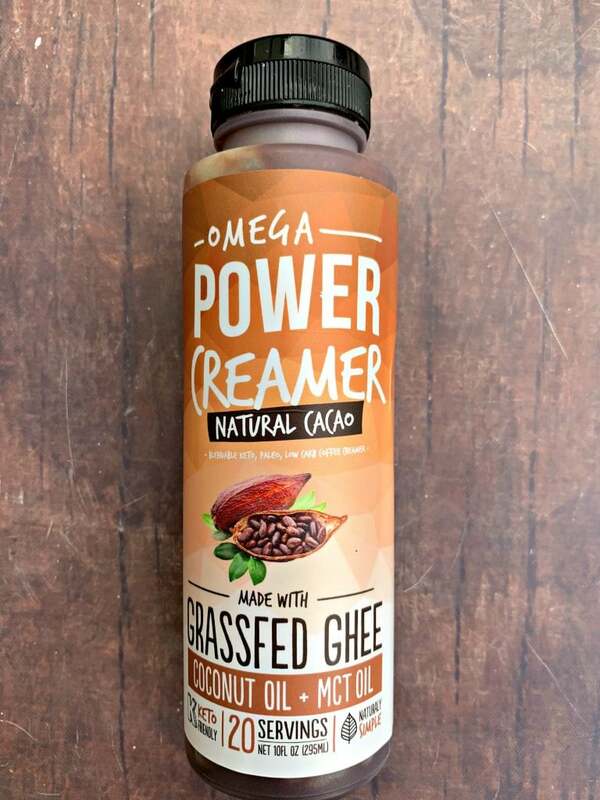 Learn more about PowerCreamer here. 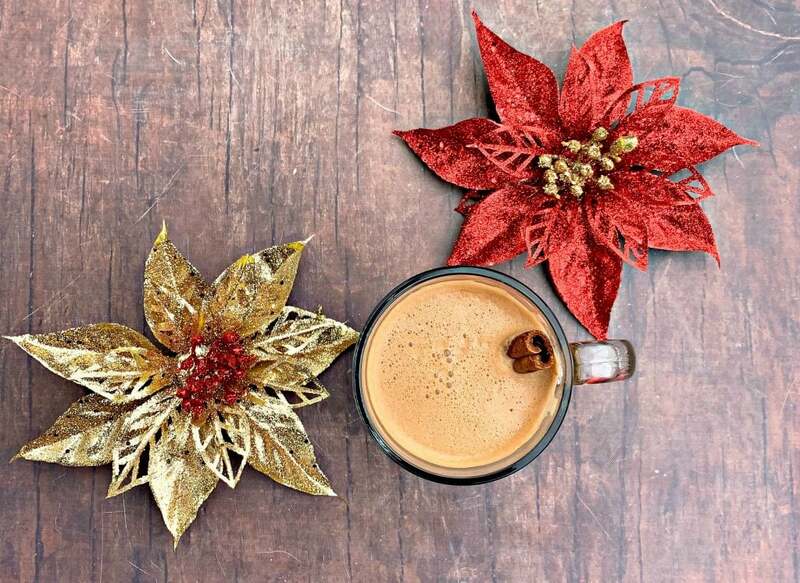 How Do You Make A Keto Peppermint Mocha at Home? 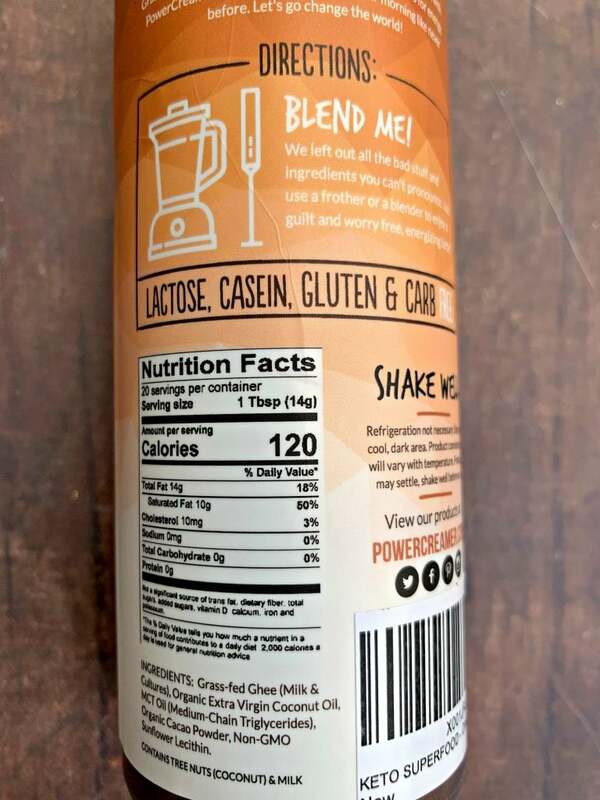 You will need a blender (any size should do), a strong cup of coffee, Pure Peppermint Extract, sugar-free sweetener, and keto-friendly cacao coffee creamer . Add all of the ingredients to a blender, and blend! I blend for about 30-45 seconds. What’s in Starbucks Peppermint Mocha? The Starbucks’ espresso is made with steamed milk, sweet mocha sauce, and peppermint flavored syrup. It’s topped with whipped cream and dark chocolate curls. How Many Calories and Carbs are in a Peppermint Mocha from Starbucks? One grande peppermint mocha has 440 calories and 59 net grams of carbs. How Many Calories and Carbs are in a Skinny Keto Peppermint Mocha? This keto peppermint mocha has 125 calories and 1 net carb per cup. Hopefully, this recipe will keep you motivated during the holidays! Serve this up at all of your family gatherings or post-holiday brunch! Looking for more keto recipes? My Cheeseburger Casserole and Peanut Butter Cookies are popular! Keto Low-Carb Starbucks Copycat Peppermint Mocha Latte is a quick and easy coffee recipe that uses cacao creamer made with grass-fed ghee butter and MCT Oil to ensure a nice dose of healthy fats. Looking for a skinny, sugar-free mocha? This recipe is perfect for keto diets and lifestyles! 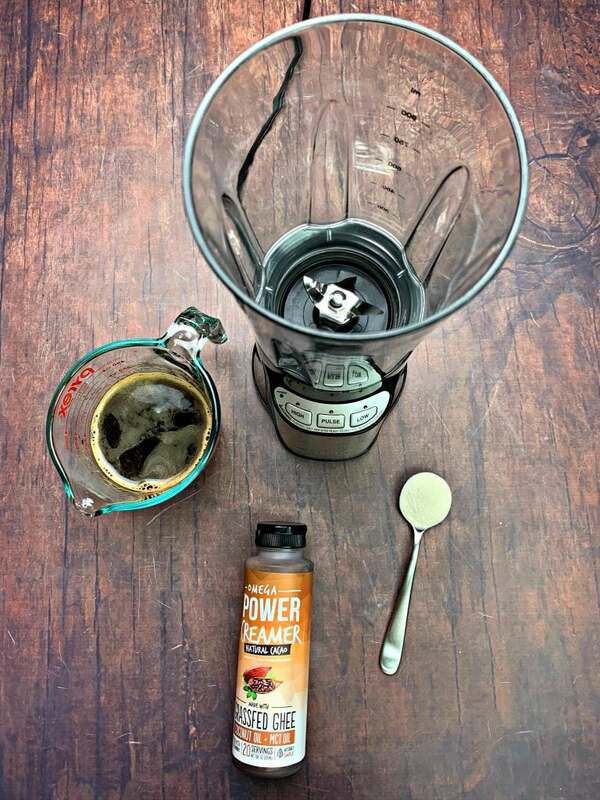 Add the PowerCreamer, peppermint oil extract,, sweetener, and coffee to a blender. Blend for 30-45 seconds to a minute until smooth. If your coffee does not foam, you may have used more coffee in relation to PowerCreamer used. Add a little more creamer and blend again. Where does the 1g net carb come from, the peppermint extract? Would this break my immediate fast? Hi. That is from the combination of all of the ingredients used in this post. Please consult a physician about questions regarding fasting.